FREE Lifetime Warranty: With our lifetime warranty your lol smurf is safe forever. If something happens to it, which is our fault, we will either replace the account or offer you a full refund.We guarantee you that your account will be 100% safe! Transfer accounts to the server you play on! 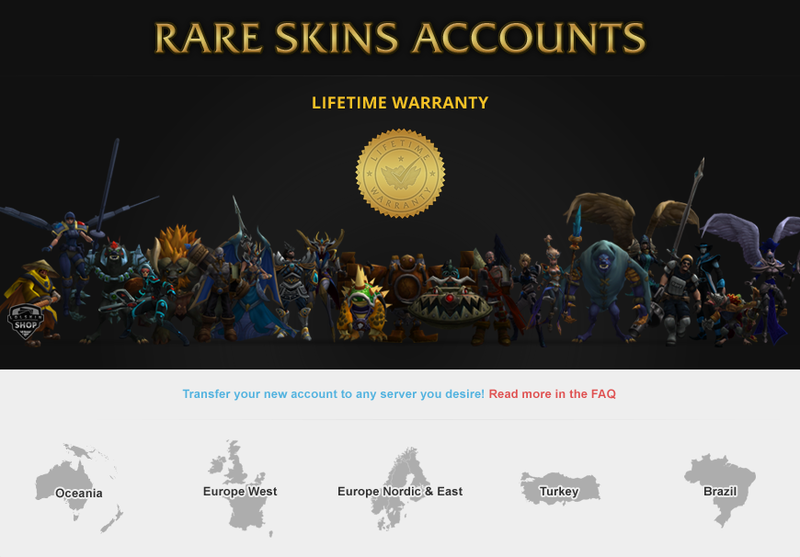 Unfortunetly we do not not have the Large, Medium or XL account type for all servers. they are mainly for the North America server. But luckily there is an option!If you for example play on the Brasil, Turkish or even on Europe West server, and want an XL account, here is what you can do. Buy For example an NA account which you want, when you recive it, you can spend another 15 USD on RP and be able to transfer to any server you want! Your prices are in Euro - can I pay in any other currency? Yes! Our payment proccessor partner which is G2A will convert any purchase you make! Lets say the price is 29 euros, which equals to 34 USD. You will be charge 34 USD, eventhou the price says 29 Euros. Does your lifetime warranty work? Yes! Other account sellers claim to offer a guarantee but when it comes to replacing your account they will often try to get out of doing so by saying you have owned the account for too long and their guarantee has expired. We are one of the very few sites with a lifetime guarantee that covers any defects for the whole life of your LoL account! 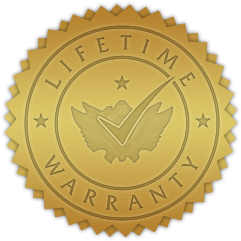 What does your lifetime warranty cover? It covers any defects or fault of our own. If you buy a LoL account from us and get it banned due to your own bad behavior or rule-breaking then we cannot help you. 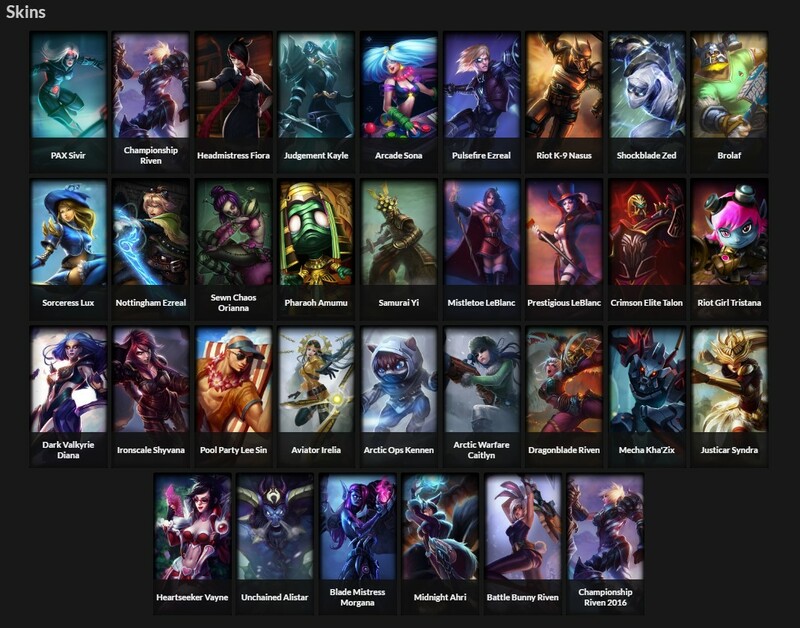 Buying our League of Legends accounts! Lifetime Warranty on all accounts. Meaning that in the rare case that something goes wrong, you get your money back. 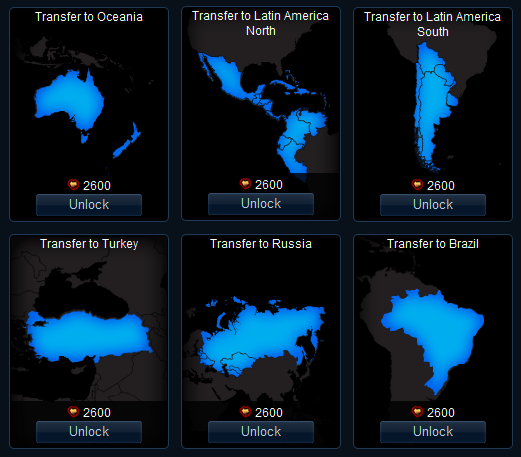 TIP: You can transfer your LoL Account to any region for 2600 RP. Skins and MMR will not be lost. 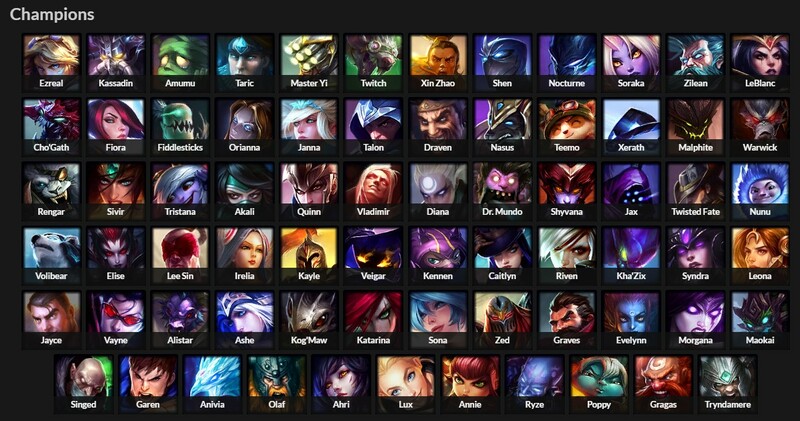 TIP: You can purchase a namechange for your account, it costs 1300 RP. If you have any questions, feel free to message us. This has a 24 hours max delivery time, normally it will be delivered within 1 hour.